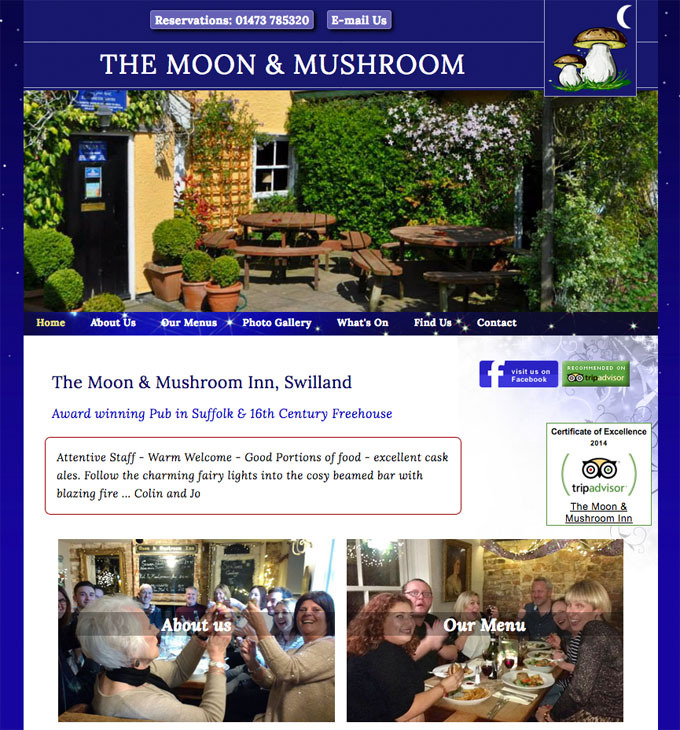 Website redesign for an award-winning pub in Suffolk. The client wanted a site to reflect the name and existing logo design, with a magical starry feel. We originally created a special Flash banner using a photo of the pub and subtle sound effects (a hooting owl) to create a transition from day into night. The site has now been updated to mobile friendly and the flash has been removed. We also designed special menu sections which are updated regularly.